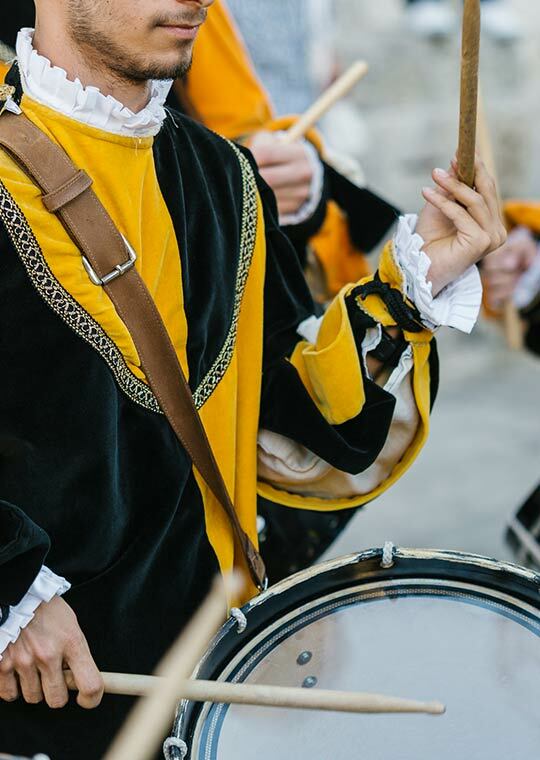 The elegance of the costumes originates from portraits of great artists who worked in Ascoli Piceno in the 5th century, first of all Carlo Crivelli. Some of the dresses carry the signature of some famous Italian stylist such as Pizzi, Guidetti and Martini. The most famous are today kept in the museum of the office of the Quintana in Piazza Arringo, which is possibile visit during the summer. Inside it stand out the figures of the Magnifico Messere, but also those of consuls, captains, ladies, armies, archers, musicians and flagwaivers. 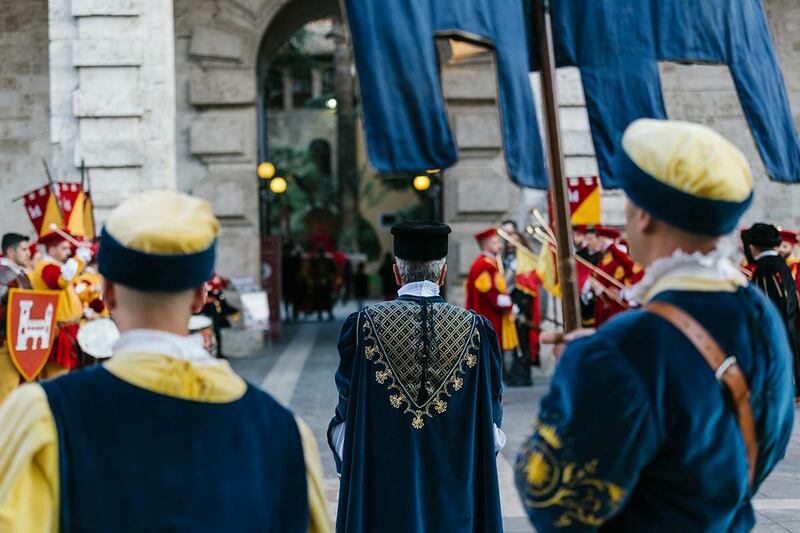 The historical parade is opened by the municipal group, which is followed immediately by the vassal Castles of Ascoli Piceno and the six Sestieri of the Quintana. The order is according by the last ranking of the horse race. The mass of the figurines is planned in Piazza Ventidio Basso. From there the parade marchs along the characteristic streets of the historic center, passing through Piazza del Popolo, until reaching the ‘Squarcia’ Stadium. There, the six knights runs for the conquest of the Palio. Do you need more iinformation?